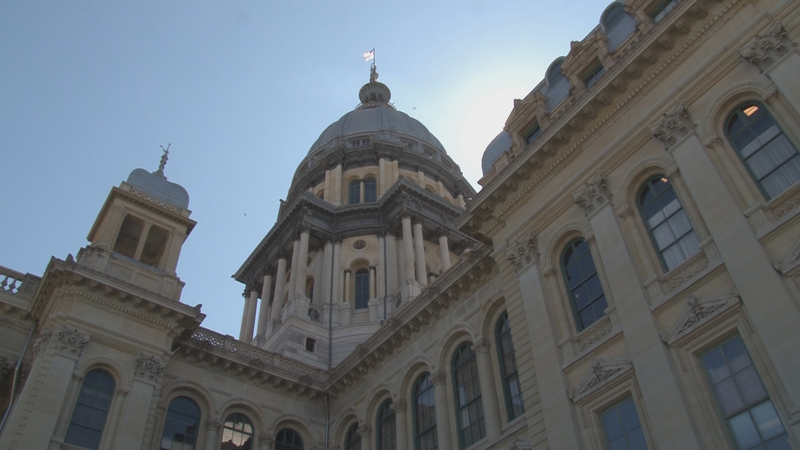 As Illinois heads into the home stretch of its legislative session, lawmakers are getting closer to negotiating a budget that could pass with bipartisan support by next Thursday’s deadline. After that, getting a spending plan in place is more difficult, as it requires a three-fifths vote versus a simple majority. The partisan stalemate that made a budget elusive – and the atmosphere under the dome tense and anxious in the past couple of years – has been replaced with a sense of optimism: This weekend’s planned legislative session is expected to be canceled, and resume on Memorial Day. “The four caucuses I think are working together in good faith. Everybody in the room has that same reaction, and I believe that we’re all there earnestly trying to get to an agreement,” said Sen. Heather Steans, D-Chicago, a key negotiator. An overwhelming desire to avoid another summer of brinkmanship is one motivating factor. But Steans said it’s also easier to do, thanks to the income tax increase that passed last summer, giving Illinois its first budget in two years. “That makes this all reasonable now so you can actually do a budget, you know, we couldn’t do that before … because the numbers, the math just didn’t work,” Steans said. Lawmakers from both parties say they’re unsure whether Gov. Bruce Rauner will get on board with a spending plan if one does pass, given that it would use revenue from a tax increase that he’s campaigned on partially rolling back. Although Illinois does have that additional revenue, pension costs continue to escalate and the state has to deal with $8 billion in overdue bills, one of many symptoms of a persistent fiscal hangover thanks to years of messy financing. Furthermore, a new school funding bill that passed last year will only achieve its goal of getting money to the poorest school districts if more money is pumped into the formula; lawmakers are eyeing sending K-12 education at least $350 million more for fiscal year 2019. Rauner met Thursday with the four legislative leaders, but each left the private meeting without speaking to the media. Even if the gap in differences between Democrats and Republicans is narrowing – both sides appear to be targeting a roughly $38 billion spending figure – much is still unresolved, including whether Illinois will shave the cut it sends to local governments and whether funding Rauner wants to build a new veteran’s home in Quincy will be part of a larger infrastructure bill – and where the money to pay for that would come from. Another possible complicating factor comes from the Catholic Conference of Illinois, which sent lawmakers a letter Thursday asking that they refuse to approve a budget that would put into practice House Bill 40, a controversial abortion law signed by Rauner. The letter asks that no budget fund abortions for individuals on Medicaid and state employees with government health insurance. “You have the opportunity to ensure that no taxpayer money is used to end the life of any unborn child,” the letter reads.